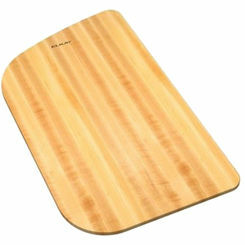 One of the more popular kitchen accessories we carry, cutting boards are an essential tool for any cook. We offer the best prices so that you can update your kitchen on a tight budget. 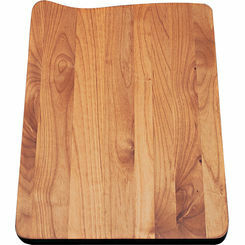 Choose from a wide range of the best cutting boards made by name brands. 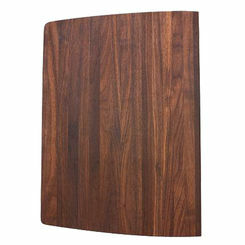 Did you know some cutting boards are made specifically fit certain kitchen sinks? You should look into that, because it's such a convenient feature. 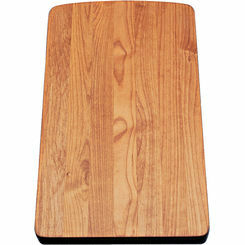 A cutting board is typically made of wood or plastic and is used to cut food with any assortment of knives. 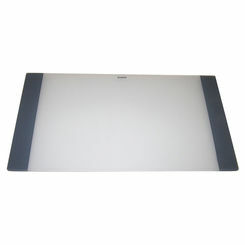 They come in a variety of sizes and shapes, all depending on the specific need of the final user. 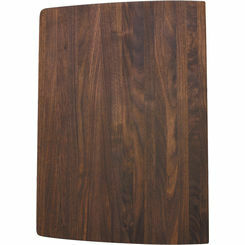 The price point of a cutting board typically reflects the durability that can be expected from the unit. 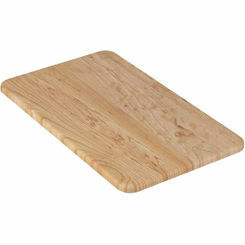 Wood cutting boards on average outlast their plastic counterparts by a significant margin. 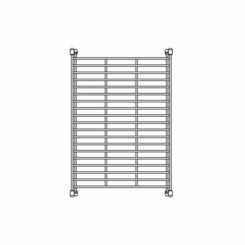 Here at PlumbersStock, we offer these vital kitchen accessories from two of our featured manufacturers, Elkay and Swanstone. 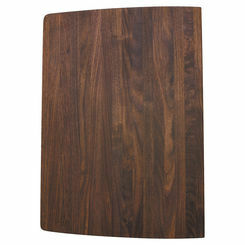 We carry wood, plastic, and reversible cutting boards. 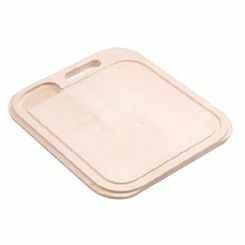 The plastic that is used in both the Elkay and Swanstone units is a heavy duty Polymer. 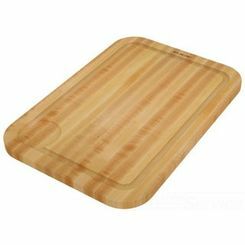 Avoid Cross-Contamination - In order to help prevent the spread of bacteria between foods, owning and using more than one cutting board is advised. It is important to remember to cut the raw meat, vegetables, or cooked foods all on separate units. 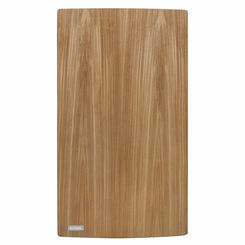 This will keep bacteria from contaminating foods that require no additional cooking. 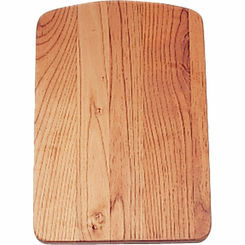 Clean Regularly - To clean a wooden cutting board you should use hot, soapy water after each use and scrub thoroughly. 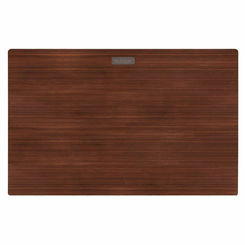 After rinsing it with clean water either allow the board to air dry or choose to hand dry the unit with fresh paper towels. 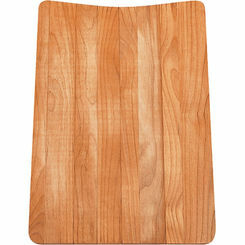 Do not dry it with the kitchen towel, as this could potentially spread bacteria on to the clean board. 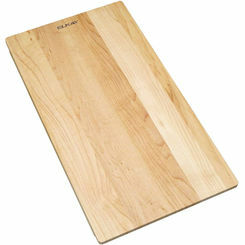 Sanitizing – Plastic is said to be cleaner than wood cutting boards due to the nature of the item. Plastic can be sanitized using a soak of 1 tablespoon of liquid chlorine bleach per gallon of water. 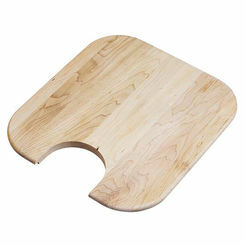 Soaking a plastic cutting board regularly will reduce the growth or spreading of bacteria. 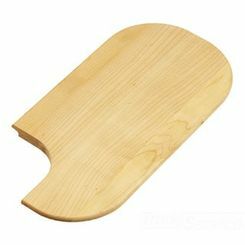 Replace Your Old Boards – If you are finding large grooves in the wood and plastic you should know they are highly susceptible to the threat of bacteria. 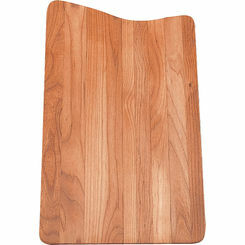 If a cutting board has worn grooves from too many uses with a knife, toss it out. There is no use in holding on to it and risking bacteria growth. 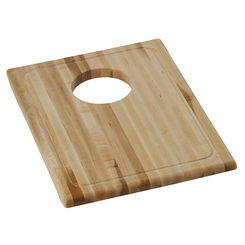 Most of the cutting boards offered by Elkay and Swanstone are units that fit specifically in their own sinks. 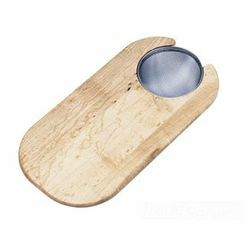 They are shaped identical to the sink bowl and were created in order to rest in the sink during use. 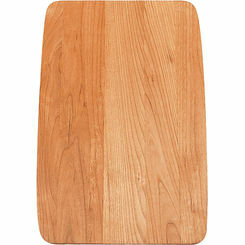 These are the best cutting boards because the user can also cut on the countertop as well. 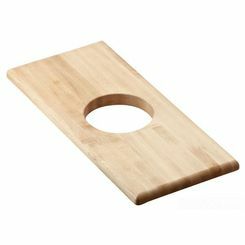 The “on sink” cutting boards have simply become a creative way to use empty space when the counter is full of other items.